Bahama Breeze at Beach Colony East. We have plenty of beautiful sugar white sands and glittering emerald waters... perfect for your vacation. Enjoy the serenity of Navarre Beach. 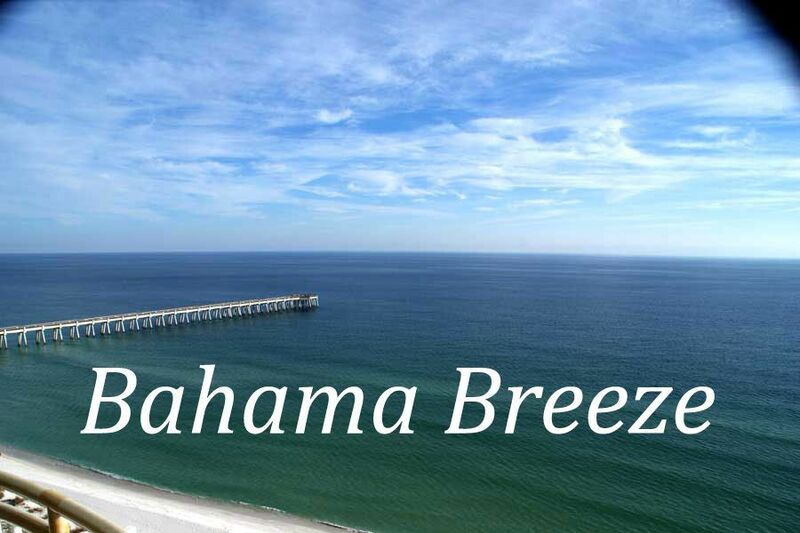 Absolutely the best price of any three bedroom condominium of this caliber on Navarre Beach. Check out the virtual tour and see for yourself the quality of furnishings, decor, and gorgeous expanse of beach for this resort. This Beach Colony Resort Condominium is sure to please the most discriminating of guests. Decorated with attention to detail and an upbeat contemporary feel. Relax on the spacious balcony and marvel at the unobstructed westerly views. The sunsets will astound you! Located on the 16th floor in the outstanding Beach Colony Resort on Navarre Beach, this unit boasts three bedrooms and three full baths. The master bath has a jetted tub that offers a full gulf view. Each room has a king bed and a full entertainment set-up. Ideal for couples/families who want to vacation together but desire some private time on their own. Beach Colony is the ultimate beach resort! Each residence has an innovative design to maximize the majestic gulf views. Beach service will be available daily to secure you the perfect lounging spot on the sugar white sands. Come and enjoy an uncomplicated beach vacation. Get away from the crowds and commercialism of other destinations and enjoy our little piece of paradise. The island has a four mile residential stretch that is bordered by miles of untouched land reserves. The open expanse of beachfront property is a refreshing change. Traditional tourist activities, renowned restaurants and shopping meccas are only a short drive away. Notable, local restaurants are all within an easy distance. Sailing, jet-skiing and snorkeling are nearby as well. Make Navarre Beach your next vacation destination. We appreciate the review and feedback, and hope they visit again soon. The condo is decorated very nicely, three large bedrooms with king beds in each room , each has its own bathroom. There were some minor maintenance issues that needed to be taken care of. Nothing that interfered with our stay. The views of the gulf were spectacular. The rentable beach chairs are ok. The guy who sets them up every morning and picks them up in the afternoon was not attentive at all. We tried 5 times to pay him for the chairs, he kept telling us to wait, that he didn’t have his clipboard ready. He said he would come to us when he was ready. He “worked” with headphones on so when I said something to him he couldn’t hear me. I tried to get his attention for several minutes before finally catching up with him to speak to him. Never did pay for the beach chairs. The location of the condo is great, very quite area. We will stay here again. We are glad they enjoyed their stay and hope they will come back soon. The beach service is provided by a vendor who had an agreement with the condo association and is not associated with our management company. This condo is beautiful! We enjoyed the large balcony with breathtaking views every morning and evening. The pool is truly the largest in Navarre and never felt crowded. We will definitely be going back! Love that they enjoyed their stay at Bahama Breeze and took the time to tell others. We definitely hope they will be back! A nice unit right on the beach. Everything was as expected. The only reason for a lower rating was after booking for two weeks we requested to check out one day early but they wouldn’t allow us too with a refund for the one night. It is unfortunate that the renter had to cut their stay a day short; we do not refund for early departure. A three star review for that is not really fair to the owner of this very nice unit. Spacious patio to sit comfortably, relax and enjoy the ocean. Convenient to grocery stores, convenience stores and restaurants. Managers were accessible to answer any questions during our stay and recommended golf courses and restaurants for us that were spot on. We had a wonderful experience. Oh my gosh, the views from this 16th floor unit are unbelievable! We spent a lot of time on the balcony just watching the water and enjoying the breeze. It is really hard to find a rental with all king beds and that was a plus for us. When booking through this site, instead of Beach Rentals at Navarre, PLEASE USE THE “MESSAGE TO PROPERTY MANAGER” BOX IF YOU WISH TO PURCHASE TRAVEL INSURANCE. Travel Insurance cost 6.95% of your total receipt . For questions in regard to the coverage offered by CSA, please call 866-999-4018 (Refer to product number G-330).